At K and G Automotive you can find specialised Audi mechanics around Springwood and other nearby areas. We are a professional automotive repair and maintenance service that’s the trusted alternative to the expensive cost of specialised Audi dealerships. Contemporary vehicles like Audi may entail expensive diagnostic procedures and simple services like resetting car lights or updating control units can become quite costly. At K and G Automotive, you don’t have to worry about spending lots of money for a first-rate high quality service visit. We offer affordable Audi repairs to Brisbane customers; during the first service call you’ll save up to 50% compared to most Audi dealers. The mechanics and staff at K and G Automotive offer the most proficient and affordable Audi servicing around Brisbane and will ensure client satisfaction and contentment. We will make sure that clients are fully informed before any procedures are initiated. We ensure our customers are always in complete control. To book in your Audi, BMW, Volkswagen or Mercedes in for an affordable repair or service in our Springwood workshop, contact our experienced Brisbane mechanics today. Our experienced Audi mechanics in Underwood and the surrounding suburbs handle your car with extra care. We are truly invested with the latest diagnostic equipment which allows us to diagnose and read car coding functions to make repairs. You’ll spend less time on the shop, and more time on the road with your Audi in its optimum performance mode. K and G Automotive mechanics are prompt in diagnosis and offer affordable Audi servicing. When you need expert Audi mechanics around Slacks Creek and the nearby areas, our fully trained mechanics are practised technicians that use certified or OEM parts and equipment. K and G Automotive is a professional independent Audi service and mechanical repair automotive shop in Brisbane. We specialise in proficient and affordable Audi repairs including mechanical upkeep of worn and damage-prone parts to keep the car in optimum performance. 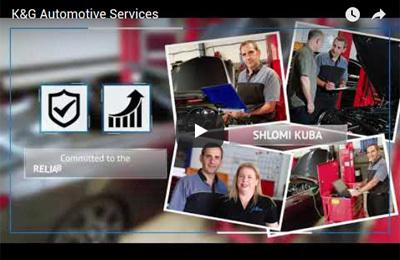 K and G Automotive preventive maintenance in Brisbane will spot trouble before it happens. Audi, being one of the leading vehicle brands, entails nothing less than superior service and at K and G Automotive mechanic services, client disappointment is not an option.